Five useful sewing patterns sold at one low price. Simplicity pattern 1591 cute skirt design, 1612 offer several nice women's dress design patterns. 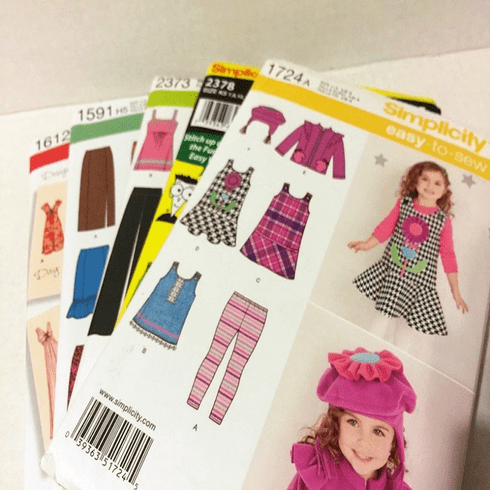 Simplicity 1724 has some interesting children's pattern for mom or grandma's next sewing project and patterns 2373 and 2378 with more children comfortable outfits and women's dress and pant sewing projects.